The leadership of Grand Council Treaty #3 stand with families and students to improve and provide advocacy within the education system. While Treaty #3 is experiencing a surge of high school graduates, there are still issues of support for students wishing to leave their communities to pursue their education. For those preferring to stay home, a more comprehensive high school curriculum is required. Grand Council Treaty #3 is working with the communities to find balance between home, education and family, and establish better educational support for all students, regardless of where they plan to study. The goal is to create an ideal learning environment for youth and adult learners, including better family programs and the promotion of culture, language, and physical and mental wellness. Short term progress is being made supporting Child and Family Programs – funding is currently available to assist in the development of proposals for the Child and Family Programs. By the end of May 2017 these programs will be delivered to communities. The Truth and Reconciliation Commission (TRC) has invested millions through the Ministry to support Aboriginal languages. During a session held in May 2017,it was identified that a high need for resource support is required in our First Nation communities. Land-based learnings and cultural teachings, to strengthen traditional identity, have been identified as high priority. Grand Council Treaty #3 has developed a new application for summer students to mentor other students needing support. Success rate is high with almost all moving to postsecondary education or on to other employment positions. Grand Council Treaty #3 is exploring a career/wellness fair to expand employment options, and to address the importance of physical and mental wellness. The event would explore traditional teachings that combat daily and promote personal health. Other aspects would include the importance of proper diet, exercise and meditation. Workshops, touching on educational planning and funding, would be highlighted, as well as opportunities in the mining and forestry sector. Recently, Indigenous and Northern Affairs Canada (INAC) provided Treaty #3 funds to identify educational priorities along with an Education Policy Analyst. The funding was for initial engagement, to cover the costs of facilitators visiting Treaty #3 communities and to achieve a better understanding of how to better educate Treaty #3 students. The underlying theme was very “grassroots” where facilitators met with parents, students and teachers to hear educational priorities from their perspective. These outcomes have been valuable in planning for the communities’ future needs, and the information collected has been helpful with proposal development. A summarized report was provided to Treaty #3 Chiefs identifying the outlined needs, and the Tribal Councils were also informed of their role to help improve youth education. Collaboratively, all parties followed through with a combined effort to obtain more funding for a better education outcome, and potentially more funding for schools and daycares. Grand Council Treaty #3 is also mandated to work with the Education Policy Analyst to build more Indigenous culture and identity into the educational system, starting with children in daycare and extending to postsecondary students. Funding is now available for Grand Council Treaty #3 to hire a coordinator to work on priority areas and challenges in the educational system, along with the Provincial Ministry of Education and Chiefs of Ontario. The Coordinator will meet with the Ministry to keep lines of communication and engagement open. This year, additional funding for schools did come from the federal government. These additional monies helped implement the activities above. The high cost for special education was also recognized, and the budget for this area of education was doubled this year. It was further recognized that it is challenging to access specialized services and professionals that can undertake the constant assessments required for special needs students. Hiring and retaining the specialists, speech-language therapists, psychologists etc. is difficult as they are usually only brought in for short periods of time. This is a definite challenge faced by Grand Council Treaty 3 moving forward. One solution is more support for internships and co-op placements. Businesses could provide opportunities to increase accessibility and training, and provide self-confidence for interns. This would also help the shortages our communities face for specialists in educational assessment. 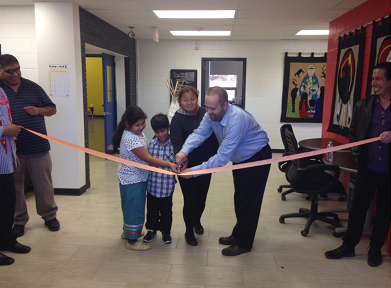 Kiizhik School was the first of its kind in Ontario, opening its doors in September 2015. 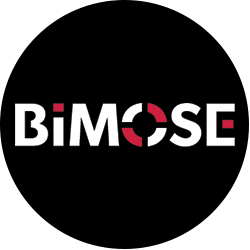 For more information about the Kiizhik School please visit the Bimose Tribal Council. The initiative of Kiizhik School started with a vision. With time and dedication from Bimose Tribal Council, and help from various partnerships, the vision of Kiizhik became a reality – opening its doors to become a historical event in the efforts to preserve the Anishinaabe culture through learning. Kiizhik is an effort by Bimose Tribal Council to address the gap in the education system for local Aboriginal students, where curricula include heritage as a subject of study, rather than a framework for education. At Kiizhik, they believe in the importance of access to the traditional language, the Anishinaabe language, as well as the culture and traditions that public schools are unfortunately unable to provide. By teaching Ojibwe using an Anishinaabe sound chart, holding vibrant pow wows, interacting with the Anishinaabe community and integrating the Ontario mainstream curriculum, students progressing past surface learning and truly identifying with the Anishinaabe people and culture. Registered students, fro kindergarten to grade 4, are from the surrounding communities: Ochichaagwe’Babigo’Inning (Dalles), Grassy Narrows, Naotkamegwanning (Whitefish Bay) First Nation, Northwest Angle 33, Iskatewizaagegan (Shoal Lake #39), Obashkandagaang (Wasagamis Bay) and Wauzhushk Onigum (Rat Portage) First Nations.